Shotgun is a highly popular class of firearm used by both hunters as well as recreational shooters around the globe. In order to have an enjoyable experience on the field with shotguns, all you need is good hand-eye coordination. Nonetheless, people that handle shotguns for the very first time often experience troubles putting the bead sight to good use. They tend to assume that the shotgun bead sight works similarly to the front sight of pistols and rifles but in reality, it’s not. As a result, most novice shotgun shooters have a hard time achieving optimal results until they figure out how to use the shotgun bead sight. Want to get the most out of your recently acquired shotgun but really don’t know much about bead sight? In that case, you have come to the right place. This article contains everything you must know about shotgun bead sight including what it is and the way it works. Overall, the bead sight serves a slightly different role compared to the standard front sight of other weapons in circulation. Things could seem difficult at the beginning but once you got the basics, you should be able to use the bead sight to good results. Generally speaking, the bead sight of the average shotgun acts as a point of reference which is used in conjunction with the shooter peripheral vision. You don’t actually aim with the bead sight, you only have to keep it within your field of view. By using the bead sight, you could make timely adjustments to the position of your head so the shot hit where your eyes are looking. For example, if you mount the gun and the shotgun bead happen to be nowhere in sight, it’s likely that your cheek is low. In most of the case, the shotgun bead sight proves pretty useful when it comes to shooting at stationary targets. 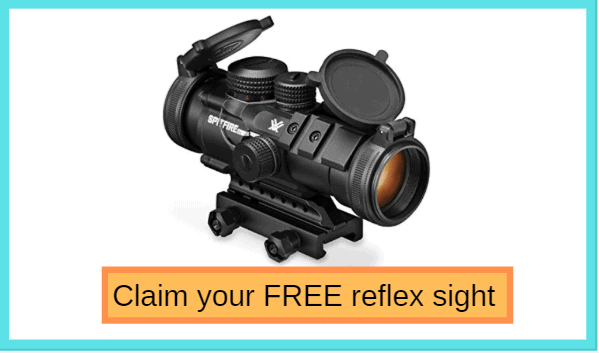 People that familiar with rifles and pistols know that they need to keep the front sight in sharp focus while allowing the gun rear sight and the target get blur. However, if you treat the shotgun bead sight like the front sight, your shots would land anywhere but the targets. To hit with a shotgun, it’s of utmost importance that you focus on the target and let the shogun barrel become blurred on the edge of your peripheral vision. At that moment, the bead sight should notify the shooters when they got the right gap between the target and the barrel of your shotgun. Although the bead sight is quite handy if you know how to use it, there are a couple of problems that you need to remember. Namely, if the focus of your eyes is automatically drawn toward the end of the shotgun every time you shoot, the sight effectiveness would dismiss. In addition to that, game hunters that make one last swing inspection before pulling the trigger often miss their targets. The reason behind this result is simple: As you check the muzzle of the shotgun, your movement slows down or come to a complete halt. For moving targets, the difference between a hit and a miss could be decided in one instance so act wisely. Beside the barrel bead sight, a couple shotgun available for purchase got a second bead sight called the middle bead. The “middle” part of its name indicates the location, not because that sight is the middle of the three beads. For most of the time, the front bead sight should be slightly bigger than its middle counterpart and they all act as points of reference. In order to use these shotgun bead sights, you need to line them up so they form a figure eight. When the figure shape is perfect, the shooter eyes would be lined up down the center of the shotgun barrel. The advances in technology also lead to the developments of bead sight design and one of the most notable achievements is the fiber-optic sight. By incorporating bundle of plastic fibers, people have produced catchy battery-free bright dots which improve the bead sight performance. People that often have shoot against cluttered backgrounds love fiber-optic sights as they consistently deliver outstanding visual reference points. In low light condition, a glowing bead should permit you to trace a line to your targets with relative ease. If you want to shoot from dusk to dawn, you should consider outfitting your shotgun with a fiber-optic sight. 1/ Is It Possible To Solve Eye Dominance Issues With Bead? Various manufacturers and experienced claim that the shotgun bead sight could correct problems caused by eye dominance on the field. However, many others think of the bead sight as less than helpful in this manner. Yet as long as the gun is properly mounted, the bead should let your master eye focuses on the target without any trouble at all. 2/ Could I Install The Middle Bead Sight On My Own? In most of the case, outfitting shotguns with a middle bead sight is not exactly a do-it-yourself job. To install a middle bead, you need to drill a hole and get a thread in before mounting the sight. The process requires purpose design tools and a minor mistake is enough to ruin everything. So if you don’t really have the right equipment and skill, just send your shotgun to a qualified gunsmith. 3/ Do I Absolutely Have To Keep The Bead Sight Around? After you manage to get a firm grasp of the shotgun, it would automatically become an extension of your body. In fact, if you could mount the gun in a proper manner, there is no need to use the bead. All of your shots would proceed to land exactly where you want them to be.